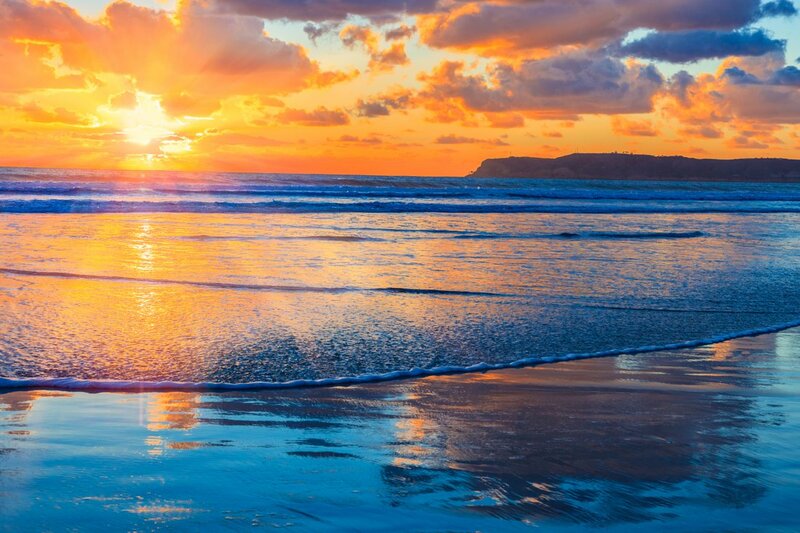 Carlsbad, California, named after Karlsbad of the Czech Republic, is a vibrant tourist hotspot known for having near-perfect weather and some of the most amazing fresh springs on the globe. This heaven on Earth had humble beginnings that date back to the 1880s, but Carlsbad has grown into an extraordinary resort city with worldwide notoriety. You’ll find this “Village by the Sea” eighty-seven miles south of the glamour of L.A. and thirty-five miles north of laid-back Downtown San Diego. Carlsbad is roughly divided into four general areas. The large acreages of Chestnut Hills, and more affordable housing options are found in the North Quadrant which is located north of Palomar Road and east of El Camino Real. The oldest part of the city is found in the Northwest Quadrant and here you’ll find charming bungalows, elegant cottages and extravagant mansions atop beautiful hills overlooking the enchanting waters of the Pacific Ocean. There are beautiful, new master-planned communities in the Calavera Hills area. Many homes there boast alluring Spanish architecture. And in the Southeast Quadrant, there are also upscale master-planned communities, as well as numerous ranches, Alga Norte Community Park, and several lush golf courses. Speaking of golf courses, amidst the undeniable natural beauty of the area, there are countless other options for recreation and entertainment. Recreation opportunities include scuba diving and snorkeling in glistening ocean waters, hiking through scenic hills, basking in breathtaking views, and cliff climbing. And on top of all of those dazzling attractions, Carlsbad also has almost seven miles of Southern California sun-kissed beaches. South Carlsbad State Beach encompasses a 220-site camping destination and the North and South Ponto beaches. One of San Diego’s most popular beaches is Carlsbad State Beach, which includes Warm Water Jetty and Frazee State Beach/Tamarack Surf Beach. Stretching from the Oceanside border to Oak Avenue, the North Carlsbad beaches are owned by coastal property owners, but via easements are open to the public. These gorgeous beaches afford endless opportunities to swim, surf, paddle board, and fish. Beyond the magnificent natural beauty, and in addition to the spectacular recreation opportunities, Carlsbad also boasts impressive dining options. Restaurants like Vivace found on Aviara Resort Drive, and the California Bistro on Four Seasons Point, as just a sample of the distinguished dining establishments found in Carlsbad. This quintessential SoCal city also has some truly thrilling entertainment options that include biplane rides and helicopter tours along the Pacific Coast. Furthermore, exciting family-friendly venues like LEGOLAND California, LEGOLAND Water Park, and SEA LIFE Aquarium are nearby and easily accessible, making Carlsbad a fabulous destination for luxury homebuyers with children. Speaking of children, those residing in the City of Carlsbad are served by four highly esteemed school districts, in addition to having numerous private schools that offer specialties in the arts, STEM/STEAM, and International Baccalaureate curricula. These districts, Carlsbad Unified SD, Encinitas Union SD, San Marcos Unified SD and San Dieguito Union High SD, are all high-performing and afford excellent educational opportunities. So, with all of these truly grand features, is it any wonder why Carlsbad is such a popular destination for luxury home buyers? Because on top of all the fabulous features we’ve already covered, Carlsbad also boasts extraordinary luxury real estate opportunities. There are lavish homes for sale in the affluent communities of Aviara and La Costa. The hillside enclave in southern Carlsbad known as The Ranch also boasts opulent homes. You can find lush properties in Agua Hedionda Lagoon, and with its seven miles of beaches, you can be certain there are several spectacular beachfront homes from which to choose, especially in Olde Carlsbad Beach. If you would like a meticulously crafted luxury estate with a coveted Carlsbad, California address, please allow us to assist you and contact us today for more information.